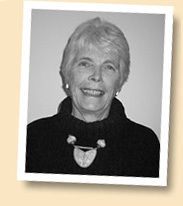 Jan Lingard has had a long career teaching Indonesian at the Australian National University and the University of Sydney. Her previous publications have been in the field of literary translation. They include ‘The Outlaw and Other Stories’ and ‘Diverse Lives’ (Oxford University Press), and ‘Eyewitness’ (Imprint) which was awarded the Victorian Premier’s Prize for Literary Translation in 1997. Jan’s is currently Honorary Associate in the Department of Indonesian Studies at the University of Sydney.